This amazing competition is captured in a DVD of approximately 3 HOURS presenting the complete Prejudging and Finals of the Arnold Classic Pro Women’s Events – FIGURE, FITNESS, BIKINI and WOMEN’S PHYSIQUE. Plus all awards and Arnold’s presentations to the winners. 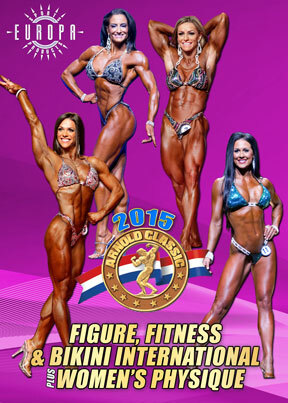 Congratulations to inaugural Women’s Physique International winner JULIANA MALACARNE of Brazil. Congratulations to inaugural Women’s Physique International winner JULIANA MALACARNE of Brazil. This amazing competition is captured in a DVD of more than 3 HOURS presenting the complete Prejudging and Finals of the Arnold Classic Pro Women’s Events – FIGURE, FITNESS, BIKINI and WOMEN’S PHYSIQUE. SARA BACK PHOTO GALLERY – Pro competitor 2015 IFBB Arnold Bikini International.